Stop putting yourself last and start nurturing yourself first. I've gone into hiding again. I haven’t posted to my blog in a couple of weeks. I got to the end of my simple self-care series and got stuck. Stuck feeling like I had too much to say but not feeling sure of how to say it. Stuck wondering if what I had to say fit the “theme” of my blog. Stuck figuring out how to “best” tell the story that I wanted to share. And so, I kept writing but stopped sharing with you. This is common for me. To cocoon myself away and allow all of the words to roll around inside of my head or on my journal, but not further. Not out in public. It’s a combination of my introverted nature and perfectionism. I often feel like it has to be “just right” before I can put something out into the world. It can be paralyzing. I admire people who seem to have such an easy time sharing their deep truths publicly. I am intimately drawn to expressions of authenticity in its many forms. I love and cheer people on when they express a truth. Even and often when that truth doesn’t fit neatly into a box. Trying to figure how to navigate within our bodies on this planet can sometimes feel like trying to avoid land-mines. Feeling unsure of each step can be exhausting. Much of my living is done inside of my head. I’m always thinking, and sometimes it drives me crazy. The “thinking" often gets in the way of the “doing." Sometimes I’ll trick myself by “learning” something new. But it’s really just me watching other people living their lives and standing in their own truth while mine remains in an unopened box on the sidelines. I think part of this is because silence has been hard for me lately. I don’t think that I’m trying to avoid anything, but I’m honestly not sure. I just haven’t taken the time to sit in silence and allow the thoughts to take form so they can move. I’ve noticed lots of thinking, but have preferred to distract myself from it. Get lost instead, in someone else’s story. So, instead of allowing these thoughts to remain safely tucked away in my journal, I thought I would try sharing them with you instead. There is no grand lesson here. Only the act of sharing without filtering. Of practicing vulnerability — that thing I’ve supported my client’s in doing for years. Of embracing the idea of being my own teacher. In this moment. On the page. As a child, I often had my “head in the clouds” and spent a lot of time daydreaming. This made it difficult for me to focus on and complete the practical tasks of everyday life. It often took me a long time to get things done because I would get easily distracted which drove my parents crazy, lol. Eventually, I grew out of most of it and became better able to focus and get things done. What remains is my need for deep introspection, insatiable curiosity, love of learning and exploring new ideas. I also still like to spend time with my “head in the clouds” when I can! This is just a part of my wiring as a soulful introvert. Exploring ways to work with instead of against my personality continues to be an active part of my personal self-care journey. Despite the gifts that are a part of my wiring, I have also learned the importance of being able to focus on the here-and-now. To take a step back from overanalyzing and overthinking and just be present. The ability to practice being present helps me to stay grounded and not miss out on precious moments. Practices such as mindfulness meditation and yoga have become more mainstream and accessible. You can find videos on YouTube, podcasts, and phone apps that are all designed to help us focus on the here-and-now. 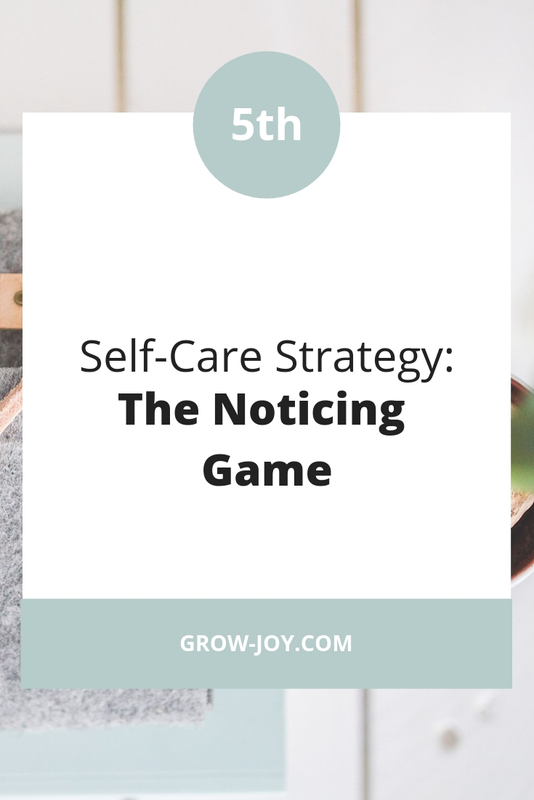 One of my favorite strategies is a mindfulness practice I like to call “The Noticing Game.” It’s one I first explored with clients in my former counseling practice. As with all of the strategies I’ve shared in this series, it’s easy to try and just takes 3 simple steps. The Noticing Game is great to use if you struggle with staying in the here-and-now due to overthinking, overanalyzing, or just plain worrying. Stop— We want to shift from a space of “doing” into one of “observing/listening”. Activate Your 5 Senses— What can you touch, taste, hear, feel, and smell? Notice & Describe— Begin to observe your surroundings and describe (in your head or out loud) what you are noticing. Example—You might to say something like, “I’m noticing the feel of my feet on the floor. I’m noticing my breath filling my lungs and my stomach going in and out. I’m noticing the red coffee mug on my desk. I’m noticing…” Simply describe what you are noticing in the here-and-now without judgement! That’s it! Allow yourself to spend time “noticing” for 1-3 minutes and then return to your previous activity. If you find yourself getting stuck in overthinking or overanalyzing, simply repeat the process. Don’t worry if you feel a little silly doing this at first. When you’ve been in the habit of focusing on the past or future, it takes time and practice to be present in the here-and-now. 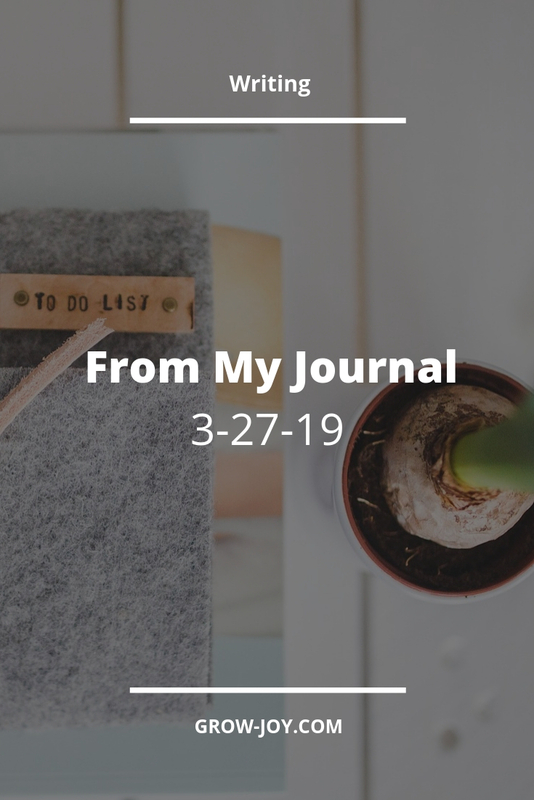 I hope you’ve enjoyed reading about my 5 favorite simple self-care strategies the past several weeks. If you missed the previous strategies you can find them all here. Now it’s your turn. 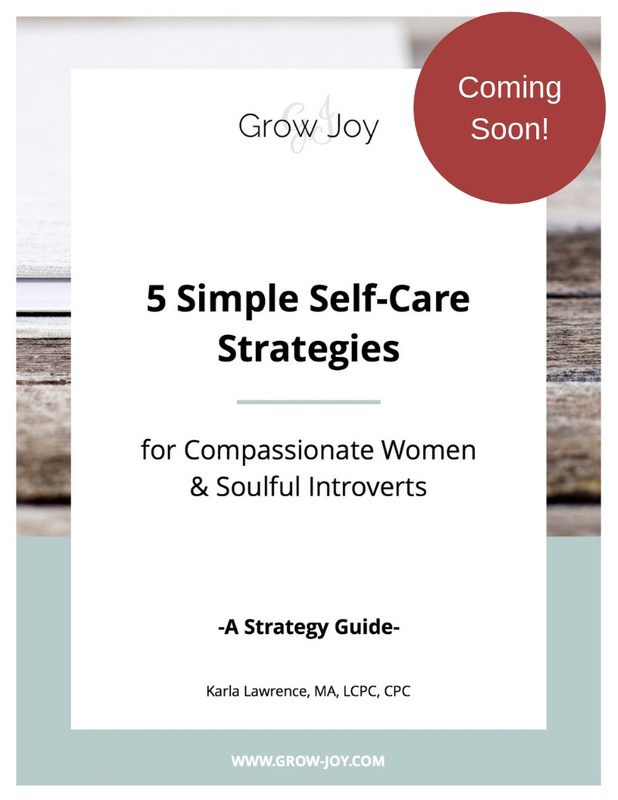 What are some of your favorite simple self-care strategies? If you have some, or if one of the strategies I shared resonated with you more than the others, I’d love to hear about it in the comments section below. P.S. Did you find this strategy helpful? If so, you can find all of the previous strategies here.